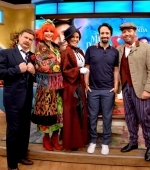 On December 19, Lin-Manuel Miranda closed the world promotional tour for Mary Poppins Returns in Miami, doing some junket press and appearing live on Despierta América and Un Nuevo Día. Check the photos in our Gallery! Under the cut you can find the videos availible on the Youtube channels of Despierta América and Telemundo. 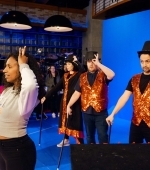 On December 18, Lin-Manuel Miranda and Emily Blunt appeared in 22 Musicals In 12 Minutes on The Late Late Show with James Corden. 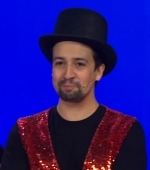 Among the others movie musicals, they played Mary Poppins Returns. 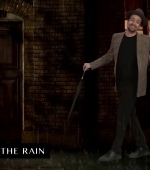 Watch the video below and check photos and screen captures in our Gallery! 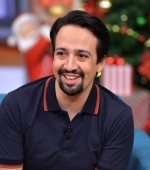 On December 18, Lin-Manuel Miranda stopped by LIVE Kelly and Ryan to talk Mary Poppins Returns, Hamilton in Puerto Rico and Gmorning Gnight. Watch the clips the official Youtube channel of the show shared below. 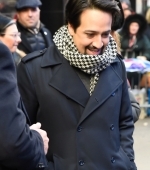 On December 17, the Cinema Society hosted a screening of Mary Poppins Returns in New York. Check all the photos in Gallery! 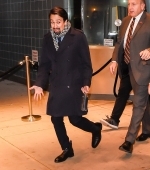 Once in the theater, Emily Blunt, Lin-Manuel Miranda, Rob Marshall and John DeLuca sat on the stage for a Q&A. Under the cut you can find some interviews from the red carpet. 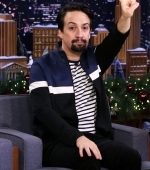 Lin-Manuel Miranda and Jimmy Fallon took some of 2018’s biggest hits and gave them holiday twists on Monday’s episode of The Tonight Show: Camila Cabello’s “Havana”, Maroon 5’s “Girls Like You”, Migos’ “Stir Fry”, Shawn Mendes’ “In My Blood”, Post Malone’s “Better Now”, Zedd, Grey and Maren Morris’ hit “The Middle.”, “No Tears Left to Cry” by Ariana Grande, Ed Sheeran’s “Perfect”, Bebe Rexha and Florida Georgia Line’s “Meant to Be”, and Cardi B’s “I Like It”. 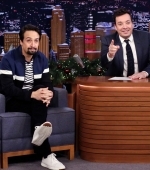 Also, NBC announced that Jimmy Fallon’s “Tonight Show” will air an episode next year from Puerto Rico including an exclusive performance with Lin-Manuel Miranda reprising his role in Hamilton. 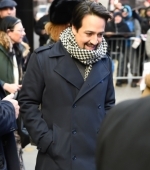 Miranda and the new touring cast will appear in the episode of the late show on Jan. 15. 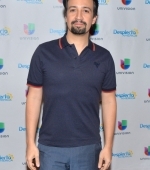 The telecast will focus on Puerto Rico’s recovery efforts to rebuild and raise awareness after Hurricane Maria massively struck the island in 2017. Check out the videos below and the photos in Gallery! 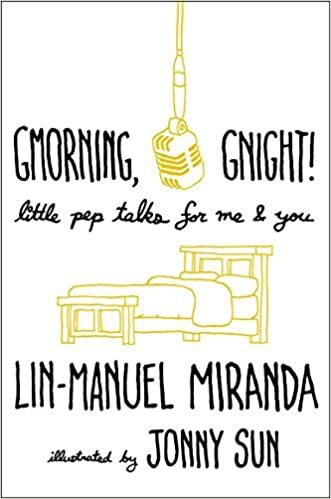 A new series of interviews, that begins with some Disney songs challenges with POPSUGAR and IGN. Under the cut there’re even more: WhatsOnStage, Get Into Film, Off Set, Entertainment City, Fandango All Access, Nerdist and on in Spanish for eCartelera. 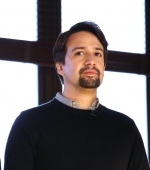 The Broadway musical Hamilton has joined a prestigious group of artists recently celebrated at the Kennedy Center Honors. 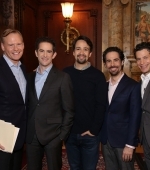 John Dickerson of CBS This Morning spoke to the four co-creators, director Thomas Kail, choreographer Andy Blankenbuehler, music director Alex Lacamoire, and writer, lyricist and actor Lin-Manuel Miranda, about their historic achievement. And in Gallery you can find all the great photos of the interview. [EDIT] Under the cut you can find a video with the whole interview, 40 minutes long. 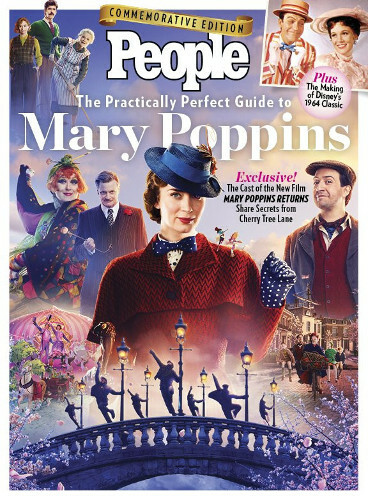 People dedicated a special issue to Mary Poppins with its The Practically Perfect Guide to Mary Poppins special edition, including exclusive photos and interviews with Emily Blunt, Lin-Manuel Miranda, Meryl Streep and many more. 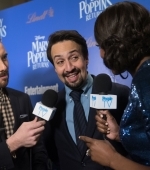 On the PeopleTV site there’s a special video with interviews to Emily Blunt, Rob Marshall and Lin-Manuel Miranda. 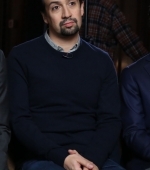 A few clips from it are available on Youtube, you can watch the ones with Lin-Manuel below. A new series of interviews, that begins with The A.V. Club. Under the cut there’re even more: AMC Theatres, Regal, Associated Press, Heather Catlin, hollywoodoutbreak, ABC 7 Chicago, Rotten Tomatoes, Xilla Valentine Network and Playbill.